Classic Medical Prescription from the “Balneario” of Alzola. 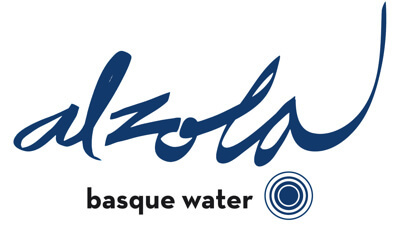 The classic medical prescription of the “Balneario” of Alzola makes reference to the properties of the thermal mineral water known by the doctors of the place around 1,801 and is a unique document in the Culture of Water. It is a legacy of centuries ago that we have recovered to cultivate the Water Culture of our public. The medical prescription used to be the label of the mineral water that was distributed in pharmacies throughout the Spanish state and it showed beyond the definition of thermal mineral water, its usefulness in the prevention and treatment of different conditions, as well as the method to use them. 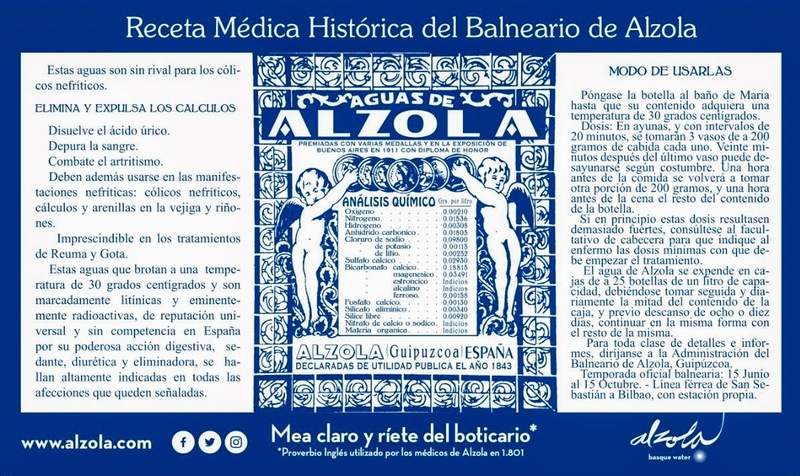 The classic medical prescription of the “Balneario” of Alzola acquired for the international exhibitions around the world what they called an English proverb “MEA CLARO Y RIETE DEL BOTICARIO“.